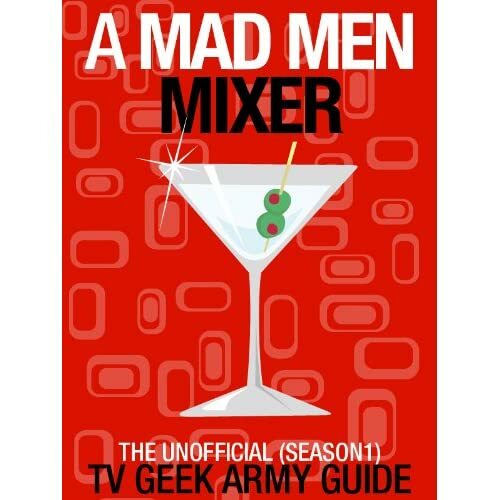 Posted on Monday, April 11, 2011, by Eric - TV Geek Army "Revered Leader"
It seemed impossible that what is arguably the best show on television would be cancelled (or, perhaps even more disturbing, return without its creator/mastermind Matthew Weiner) over money and contract negotiations. But hallelujah and bestow offerings to your favorite TV god (Joss Whedon smiles benevolently above my shrine… what, that’s weird? ): Mad Men will be with us for at least two seasons, and very likely three. Do the math and that means we’ll have six or seven total Mad Men seasons in the end at the least. That feels like a proper arc for a show of this caliber, and I’m more excited than ever to follow the continuing odyssey of Don Draper, Sterling Cooper Draper Pryce, and company than ever before. The relative downside is that we’re in for a pretty serious wait for Season Five. With production not set to begin until this summer (though Weiner and writing staff will be back at work immediately) it’s looking probable that the show won’t be back until around March 2012, which will make it well over a year between Seasons Four and Five. I’d have to imagine that the ever inventive and surprising Weiner will take this into account when setting the opening of the new season. While the “time shift” between Seasons One and Two was significant (jumping from late 1960 into the early 1962), the shifts have been smaller during subsequent seasons. With Season Four leaving off in the fall of 1965 we can only guess where the new season will begin. Obviously we’ll have a lot of time to discuss all of the above over the long break, but part of fascinating here is that we are on the brink of the “real” 1960s here, or the ‘60s that capture our popular imagination today anyway: Vietnam, protests, hippies, and all the rest of it. And on a final note on the length of the series, it’s interesting to note that originally Weiner had envisioned Mad Men to last for five seasons, with each season picking up around two years down the line so that we would see the characters journey through the entirety of the 1960s. That is to say, things can change! Here’s hoping that we’ll get to see a Season Fourteen where an aging and far sighted Draper drunkenly tries to program his brand new Betamax VCR. This next season can't come fast enough. The withdrawls after season 4 are getting worse, please start filming! Patience, my son... in fact, we need to be patient. It's gonna be a while, I'm afraid.